The beach will have to endure another hurricane season, but the Gulf of Mexico shoreline on Anna Maria Island will be renourished in 2019. 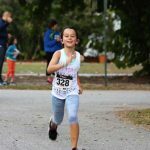 Hurricane and storm season runs May 1-Nov. 31. The cost of the second project will be split between the Federal Emergency Management Agency, Manatee County and the state of Florida, with FEMA covering 75 percent and the state and county sharing the remainder. The project will span the shore from Fifth Street South to Longboat Pass and cost about $4 million, according to Hunsicker. 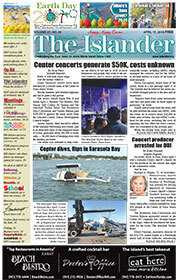 “We hope to piggyback on the contractor that the army engineers will be using, so instead of stopping at Bradenton Beach and packing up and leaving, they can stay right with it and keep on going under a separate and independent contract to do the Coquina Beach segment, and thereby save substantially in local and state dollars,” Hunsicker said. Mobilization costs for large beach renourishment projects can range from $4 million-$6 million before the first shovel is turned, according to Hunsicker. In total, the projects would replace more than 700,000 cubic yards of sand lost to erosion and cost around $20 million. Hunsicker expects the work to last three-four months. The sand will be dredged from a sandbar offshore of the northern end of Anna Maria Island and pumped in pipes to the renourishment area. Hunsicker said a dump truck can load up to 10 cubic yards of sand at once, and to meet the project requirements would require 70,000 truckloads — an effort that would cost significantly more than dredging and pumping the sand. 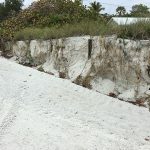 A couple of recent storms have furthered the erosion caused by Irma. 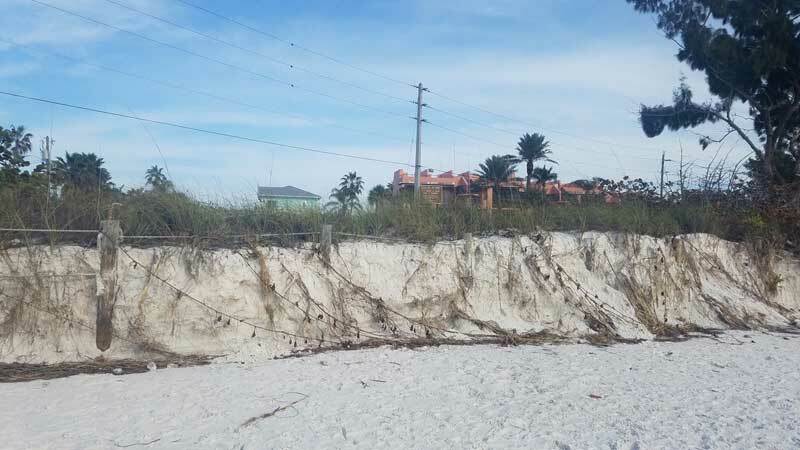 Bradenton Beach resident David Herrmann said erosion is apparent north of the groins at Cortez Beach and is within 10 feet of a multiuse path that stretches from Cortez Beach to Coquina Beach. “I’ve seen this beach come and go for 30 years and this is probably about the worst I have ever seen it,” Herrmann said in an interview Jan. 8. While he isn’t concerned the erosion will impact his property, he is worried for the multiuse path and utility poles west of Gulf Drive. To counteract the erosion, renourishment projects replace the lost sand so that the Gulf doesn’t eat farther into the beach. Additionally, groins can help preserve and build upon the existing beach, as they trap sand moving down the beach via the drift current by slowing the sand and changing its direction. Suzi Fox, director of the Anna Maria Island Turtle Watch and Shorebird Monitoring, told The Islander erosion would have no effect on sea turtles or shorebirds while nesting is in its off-season, but would need to revisited when sea turtles begin nesting in May. “It’s nothing new,” Fox said Jan. 8.